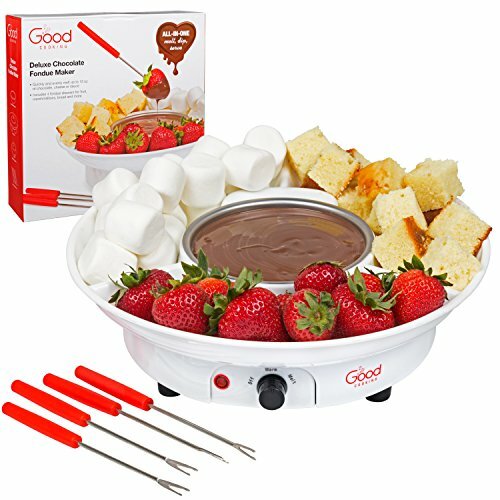 Chocolate Fondue Maker- Deluxe Electric Dessert Fountain Fondu Pot Set with 4 Forks and Party Serving Tray - A Great Valentine's Day Gift! View More In Cheese Tools. Chocolate Fountain- Serving tray and bowl are removable, making this chocolate fountain easy to clean! If you have any questions about this product by Good Cooking, contact us by completing and submitting the form below. If you are looking for a specif part number, please include it with your message.